Learn about the history and culture of Egypt on this day tour with a private guide. First, visit the famed Egyptian Museum, which houses more than 120,000 ancient artifacts, including King Tut’s golden face mask. 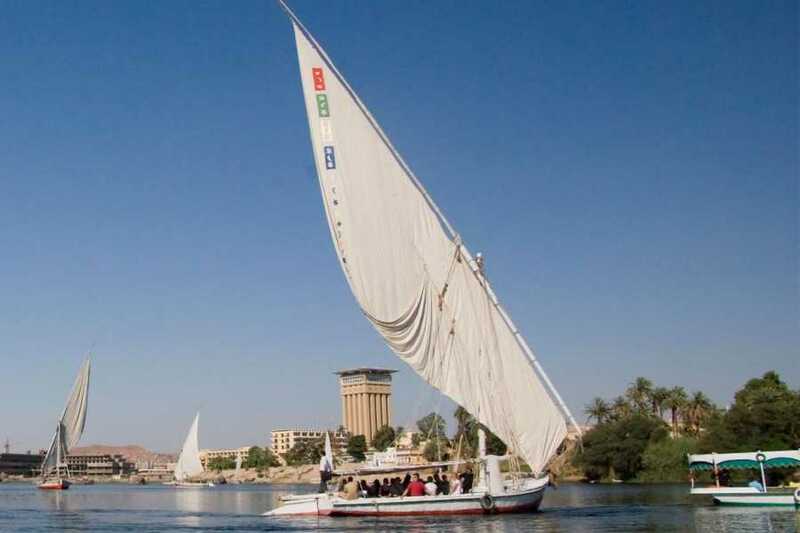 After the museum, sail the Nile River on a traditional felucca boat. Snacks, entrance fees, and bottled water are included. Start with pick up from your Hotel at 11:30 am and you will find your professional tour guide waiting for you with a sign of your name at the lobby area of your hotel in Cairo or Giza. Transfer in modern A/C vehicle to the Egyptian Museum to learn about the history of ancient Egyptians, there is a large number of monuments over than 250000 pieces all over the place, The most important of them is the golden collection of king Tut and his golden Mask weighted around 12 KG of pure gold. After you enjoy your time at the Egyptian Museum transfer to the Felucca port on the Nile and enjoy 1 Hour sailing on the Nile river and have the chance to chat with your tour guide about Egypt habits & culture.